However, before the vote, several lawmakers on both sides of the aisle expressed worry that they did not fully understand the policy that could fundamentally shift how Montana pays for major infrastructure. "It seeks to put structure, and limits and strict fiscal discipline on the state’s borrowing ability," says Eric Moore, a Republican from Miles City, who is carrying House Bill 553. 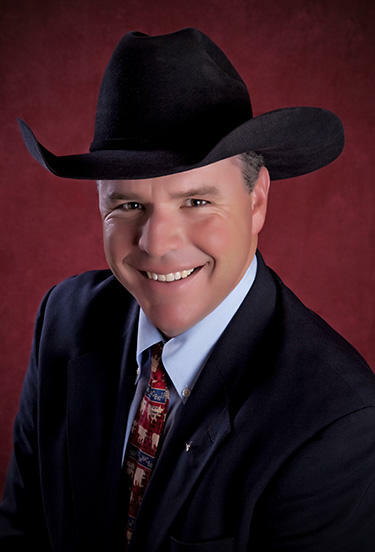 Rep. Eric Moore, R-HD 37. While just introduced this week, the proposal is backed by Democrat and Republican leaders in both the House and Senate. It aims to settle the debate over how to pay for large scale public work projects in Montana. The fight over how much debt the state should take on, if any, to fund big-ticket construction projects has tripped up major public works packages three out of the last four regular legislative sessions. Moore says putting more guidelines on when and how the state issues bonds to borrow money could help ease those concerns. "We’re gonna put two limits on our debt level with this bill," he says. It would limit how much borrowing the state can do, based on its current debt to asset ratio and how much revenue is available to pay off that debt. "Now the next thing this bill does is it says you’ve got to fix what you’ve got before you build any new," Moore says. This means that if money is set aside for a new state building, the Legislature first must pay for repair projects like new boilers and roofs in existing buildings. The minimum level of the funding for major repair projects is 0.6 percent of the replacement cost of existing eligible buildings. House Bill 553 requires the governor, during the first week of every regular Legislative session, to submit a priority list for capital development projects and major repairs needed within state agencies. The Legislature could then use the proposed formula to decide how to pay for it. "The common sense of this thing says that you spend cash when you have it, you borrow when you don’t, just like we all do at home," Moore says. House Appropriations Chair Nancy Ballance, a Republican from Hamilton, says House Bill 553 is a needed framework for the state’s future investments. But unlike it’s first vote Thursday, she expects some resistance from Republicans down the line. Rep. Nancy Ballance, R-HD 87. "We have some in our caucus who are ideologically opposed to debt, ever, for any reason," Ballance says. "So, yeah, there’s going to be some arguments around it." Ballance says if House Bill 553 passes it will lead to about $80 million — a mix of cash and bonds — for infrastructure projects over the next few years. That’s less than what Governor Steve Bullock wants. His proposal called for $160 million in bonding alone, plus additional cash projects. Democratic Senate Minority Leader Jon Sesso from Butte says his party backs the Infracture Development and Economic Accountability Act. But, "It doesn’t do us any good have a structure and then not use it to make some investments today, and put off expenses in building projects until tomorrow. That's not the point. The point is, okay, let's get a structure in place and lets do this," Sesso says. The Governor’s office remained neutral on the bill during its first hearing. In an emailed statement Gov. Bullock’s Budget Director Tom Livers said the office is, "Interested to see how this bill plays out in the context of Republican-majority proposals and in ensuring we are addressing needs today, not kicking the can down the road two more years." House Bill 553 will need to make it through the House chamber and over to the Senate by March 2 to make the legislative transmittal deadline. In first weeks of the legislative session Gov. Steve Bullock and the Republican Majority are trading barbs over how the state should pay for big public projects, including university system improvements and maintenance in towns and counties. On Wednesday GOP leaders revealed plans for a new system for how Montana borrows money for public works projects.